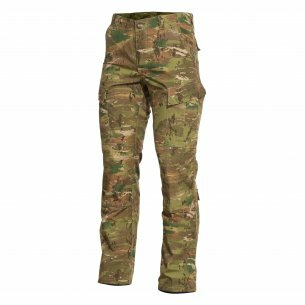 Men's pants Pentagon ACU (short for Army Combat Uniform, a field uniform used by the US Army) is a perfect example of how military technologies penetrate into everyday life. 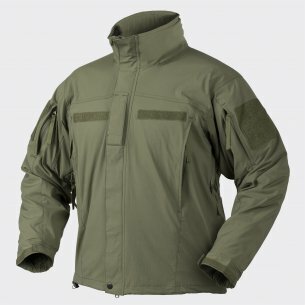 Thanks to the US Army project, faithfully recreated by the well-known and renowned Pentagon company, you have a unique chance to feel like a soldier of the US infantry army. The Pentagon men's bombers are a must-have item for the hunters, among others. Thanks to practical pockets, you can now put all necessary elements of hunting equipment close to each other. Knives or hunting horns - from now every small element will find its perfect place - of course in ACU pants. Fast and convenient access to what is necessary guarantees successful hunting and satisfaction from hunting. Darz the forest! The advantages of clothing such as Pentagon men's trousers is above all the extraordinary durability and durability. 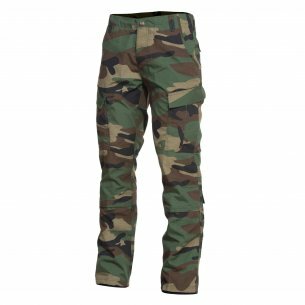 Tactical pants do well in all conditions, which are especially used by soldiers and other uniformed services. During the fight, the first violin plays reliability and the ability to quickly fix any damage, so the pants are reliable pants ideal. Not only on the battlefield, utility values ​​matter. 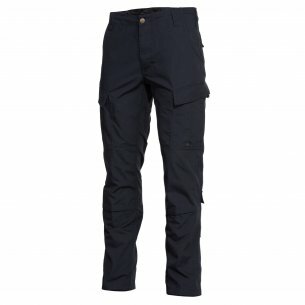 Another group willingly enjoying the advantages of ACU pants are travelers and trekkers. Although there are no deadly battles with the enemy army among them, they also risk a lot during their expeditions - even health or life. 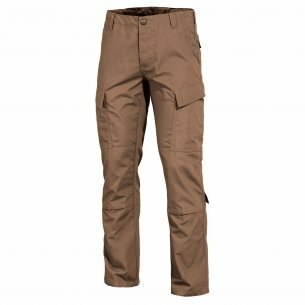 In such extremely demanding conditions, the choice must always fall on the best product - and this is the Pentagon ACU pants. The Pentagon men's trousers are available in many variants, suited to all conditions. We recommend the Pentagon model especially. 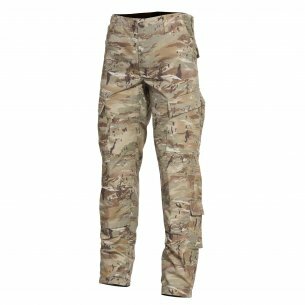 ACU - Ripstop - Pentacamo® trousers. 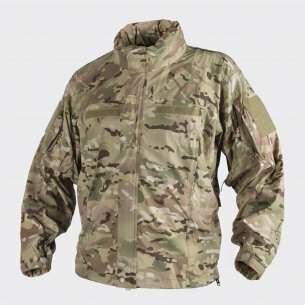 Pentacamo camouflage was made in full accordance with the specification of the US Army, so you can be sure that regardless of the conditions, nothing will surprise you. Grassman camouflage, in turn, is an excellent choice of grassy and lightly forested areas. It is worth using them primarily in spring and summer. Coyote / Tan is a typically desert configuration. Black and Navy Blue colors work great at night and in enclosed areas, especially in buildings - every paintball enthusiast knows how important it is to cover the narrow corridors of buildings. 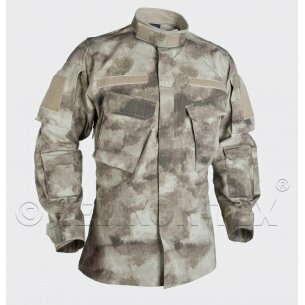 Helikon-Tex® Trousers (Army Combat Uniform) - Ripstop - Camogrom® is another camouflage characteristic of the US Army. The registered trade mark means that this design is unique and present only in the clothing of the American army. We also recommend the UCP and Woodland versions. 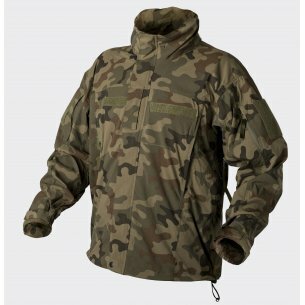 UCP means Universal Camouflage Pattern. This is a new, pixel pattern used by the United States forces. Regardless of camouflage, all military pants / army trousers are equipped with four upper pockets, two at the front and the back. Also on the legs we have the possibility of using two pockets. They are Velcro. On the calves we have two small pockets - also Velcro. Their total number is therefore 8 pieces, which is a great result that competitive models can not boast of. The high usability of these trousers was duly appreciated by the US Army, which decided to use them as the basic uniforms of its soldiers. Military trousers / army trousers - a great choice. Always. Everywhere. Pentagon Army Combat Uniform pants are great for any situation. Their military pedigree gives them character and proves their great usefulness, regardless of the context in which they will be used. Equipping them in the 8th pocket increases their usability to values ​​unparalleled in competing solutions. A wide selection of camouflage means that even the most demanding taste will be fully satisfied.